We investigate the mixed joint discrete value distribution and the mixed joint discrete universality for the pair consisting of a rather general form of zeta-function with an Euler product and a periodic Hurwitz zeta-function with transcendental parameter. The common differences of relevant arithmetic progressions are not necessarily the same. Also some generalizations are given. For this purpose, certain arithmetic conditions on the common differences are used. 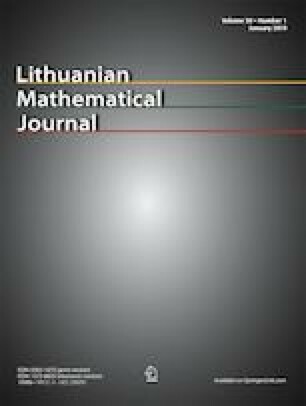 R. Kačinskaitė and B. Kazlauskaitė, Two results related to the universality of zeta-functions with periodic coeffcients, Results Math., 73:95, 2018, available from: https://doi.org/10.1007/s00025-018-0856-z. A. Laurinčikas, Joint discrete universality for periodic zeta-functions, Quaest. Math., 2018, available from: https://doi.org/10.2989/16073606.2018.1481891.